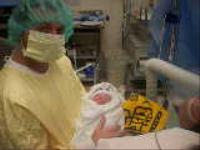 The world's youngest Steeler fan, Marley Grayson Weir, born 1-12-09 at 6:18 PM. She is about five minutes old in this picture. From Mason Weir, formerly of Beaver Falls, currently in Huntington, WV. 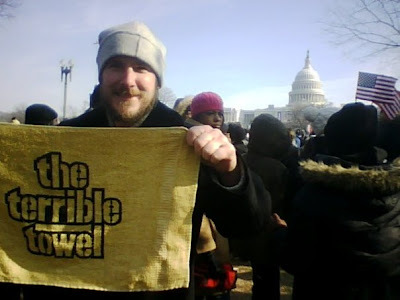 RANDY BAUMANN/DVE, "DON'T DISRESPECT THE TERRIBLE TOWEL"
Haha that fan video is like watching Cloverfield. Monster attack at Heinz Field.